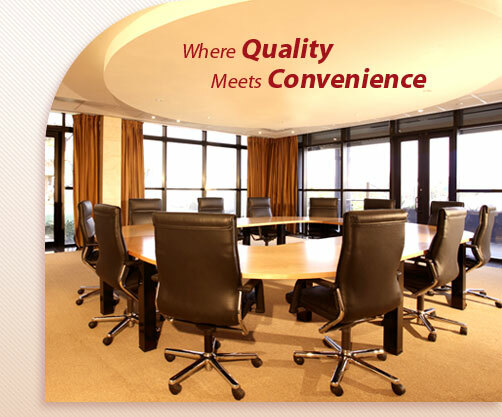 Offex- an exclusive office furniture store in Hyderabad since 1985. Offex has mastered the art of finding solutions to any profile of the customer from small home-office to big corporate and it happened through its commitment and customer focused approach. For finding office furniture that's as beautiful as it is functional, as elegant as it is efficient, as versatile as it is intelligent, just visit us. Browse through our store and you can find yourself in a place where every piece in display speaks on its own. The inspiration includes our Budget Office Furniture range to balance your need for style with no-compromise affordability. Then there are our aesthetic Mid Range of Office Chairs, Desks, filing and storage solutions, including exclusive collections that impress you in all aspects. Finally, you can choose from our Executive Desking and Seating which exudes an air of design distinction and visible prestige. The exciting design ideas in office furniture, always with an eye to originality in harmony with functionality – a combination that means your office furniture, chairs, desks and storage all come together as a cohesive package. We're also keen to offer exceptional after sales care too, with fast, attentive and efficient service you can rely on. CHAIR-MAN spares and repairs wing is designed to take care of this responsibly. All our office furniture is offered with delivery and installation options to make the whole plan go as smoothly as possible. It is just an introduction to our products and services and please feel free to give us a call and discuss your needs in more depth. It's our pleasure to help you to formulate your ideas and then to achieve your goal for a sleek and tasteful office environment that works every bit as hard as you do.